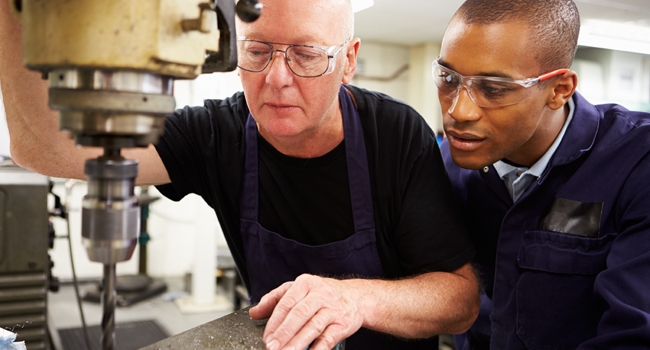 Apprenticeship is an on-the-job training program for people who want to work in a skilled trade or occupation and includes learning new skills from skilled journey persons. Apprenticeship training provides access to well-paying jobs that demand a high level of skill, judgement and creativity. Apprentices are paid while gaining work experience, and their wages increase with their level of skill. There are currently over 150 apprenticeable trades in Ontario in four sectors: construction, industrial/manufacturing, motive power, and service. To learn more, please visit http://www.tcu.gov.on.ca/eng/employmentontario/training/ or contact us. You can also register online through Employment Ontario Self Service.